a mentor/training experience for youth leaders who want to create a ministry rich in discipleship and growth. Animate (bring to life) adolescent leadership capacity. Ignite youth’s internal motivations to fulfil their God-given potential and purpose. Place the transforming of young minds and growing-through-leading at the center of ministry activity. we show you how to develop leaders. we show you how to engage youth transformationally. we show you how to bring Jesus to the point of youth’s felt needs. we show you how to create an environment in which youth can discover who they are in Christ. You must be responsible for leading a youth ministry that serves youth in an under-resourced community (the residential poor). You must be able to set aside an average of 5 to 7 hours each month for interaction and training. You must be willing to make a 10 month (or ministry year) commitment to the Masters Track process. 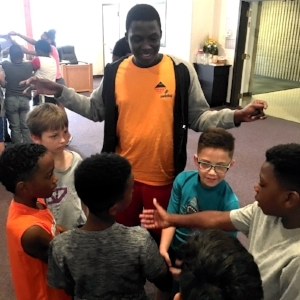 But there are people in the body of Christ who, if they knew you were serious about making a transformative difference among at-risk youth in your community, would gladly invest in your success. Are you that person? are you ready to be this kind of difference-maker? Then use the Contact page to shoot me (ted) an email. You will be asked to fill out an application and set a time for an interview. Take the first step into a journey that will transform your life, mission, and lives of the youth you serve.